The Ron Lewis Automotive Group has been out and around Pittsburgh, and below you will find this month’s EVENT CALENDAR. Please stop by to see us, support some great causes, and feel free to share with your family/friends. Overview: Visit us at the 3rd Annual Ron Lewis Ram City Sales Event going on in Cranberry, Pleasant Hills and Waynesburg — For 3 Days only – November 8th, 9th & 10th – customers will find 2019 RAM 1500 lease deals as low as $159/month or over $12,000 off of MSRP! Overview: Ron Lewis Ford is proud to participate again this year with the PRESENTS FOR PATIENTS® Gift Giving drive! For many of us the holidays, birthdays and Christmas are filled with family gatherings, friends and gift giving. However, for some patients in nursing home facilities it can be a very lonely time. Please encourage friends, family and co-workers to think about the number of patients in need not only at the holidays but all year round. Visit Ron Lewis Ford in Beaver Falls to drop off an unwrapped gift or visit https://www.presentsforpatients.com/gift-giving.php to donate online. Overview: Visit the Heinz History Center on Sunday, October 7th for a fun day filled with Italian experiences including: learn how to play bocce, arts and crafts inspired by artifacts from the History Center’s Italian American Program, explore your family tree, watch live cooking demos & sample Italian American recipes in the Kitchen Classroom – AND join Ron Lewis Alfa Romeo for a test drive of an Alfa Romeo Giulia or Stelvio to enter to win an exclusive “Italian Style Dine & Drive” experience! *Test drivers must be at least 23 years old, hold current auto insurance, driver’s license. Visit https://www.heinzhistorycenter.org/events/italian-heritage-day for more information! Overview: At all Ron Lewis Automotive Group locations, our staff may donate at least $1/per person to wear pink (or a Steelers jersey) to raise money for Breast Cancer Research. Last year we collectively raised over $1800 – we’re aiming to beat that this year! Overview: For the last Friday evening car cruise of the season, Victory Church in Cranberry will be hosting a “Trunk or Treat” night from 3-7pm. For more information, visit: https://victorycarcruise.com/ Ron Lewis Automotive Group was proud to be part of this family friendly event in 2018! Event: Enjoy the Ride Facebook Contest! Mention which RLAG location you bought it from and share it on your Facebook page! *Contest Rules: One entry per customer; Entry must be logged and verified as vehicle owner from Ron Lewis Automotive Group with purchase from 6/1/18-present; Minimum of 100 Facebook post likes to win; Payment amount awarded to winner is up to $500. Contest closes at midnight on 9/3/18. Winner announced by 9/5/18. Employees of Ron Lewis Automotive Group are not eligible to participate. Overview: Back to school means car lines, bus stops, activities, carpools and games – and the Ron Lewis Automotive Group wants you to Enjoy the Ride! During our Labor Day Sales Event, we are offering lease deals, prizes with test drives (while supplies last), and grilling – On Saturday 9/1 Y108 will be on site at RL Pleasant Hills from 11-1 – Yes we are OPEN on Labor Day 9-3pm. Overview: We are stocked up for Fall with over 1,200 vehicles! We’re kicking off September with great deals on everything from the brand new Ram 1500 DT, Jeep Wrangler JL, and our remaining Fiats. We’ll have an on-site visit from 100.7 from 12-2 on Friday 9/7 with prizes – Stop by! Overview: This year’s McGuire Memorial Charity Golf Classic will be held on September 10, 2018 at Montour Heights Country Club and will feature a 2018 Alfa Romeo Stelvio as a Hole-in-One prize. Learn more about McGuire Memorial at http://www.mcguirememorial.org/ and their mission of bringing fullness of life to people with disabilities. Ron Lewis Automotive Group is proud to support the work of this great organization! Event: Victory Church Car Cruise – Camaro Night! Overview: https://victorycarcruise.com/ – This year Victory Church combines efforts with the Northway Church Car Cruise this year– with over 1,100 spots available! It’s not just for gear-heads — Once your family experiences the bounce house, balloon artist, face painting, food vendors, DJ, and prizes, they’ll beg you to come back. This year Ron Lewis Automotive returns as the Cruise’s “Driven By” sponsor – and we look forward to seeing you there Fridays as we finish out the season! Overview: https://starpittsburgh.radio.com/events/handbag-happy-hour-glimmer-hope-1 — Ron Lewis Alfa Romeo is joining Star 100.7 again for another Handbag Happy Hour to benefit the Glimmer of Hope Foundation at Walnut Grill in Fox Chapel. We’re bringing the Alfa Romeos – and an Italian handbag that will be available to win! This is a ticketed event and usually sells out! Event: Victory Church Car Cruise – Mustang Night! Overview: Ron Lewis Ford will be on site with some brand new, shiny Mustangs — https://victorycarcruise.com/ – This year Victory Church combines efforts with the Northway Church Car Cruise this year– with over 1,100 spots available! It’s not just for gear-heads — Once your family experiences the bounce house, balloon artist, face painting, food vendors, DJ, and prizes, they’ll beg you to come back. This year Ron Lewis Automotive returns as the Cruise’s “Driven By” sponsor – and we look forward to seeing you there Fridays throughout the Summer! Overview: Ron Lewis CDJR Waynesburg proudly supports this family friendly event and benefit for the Humane Society of Greene County — Receive 3 FREE Chinese auction tickets when you bring pet care items to the car show (cat/dog food, clay cat litter etc.). For the car show portion of the event, 16 trophies will be awarded and windshield plaques will go to the first 100 cars registered. Visit http://www.skyviewdriveinpa.com/carshow.htm for more information and to register! Overview: This event, put on by PUSH Beaver County, will feature local wineries, gourmet food vendors at this tent party. Proceed go towards the construction of a new amphitheater in Veterans Park. Ron Lewis Alfa Romeo will be displaying the 2018 Alfa Romeo Giulia and Stelvio at this event, with a public service reminder not to mix drinking Italian wines with driving Italian cars. Overview: The Connor Johnson Memorial Foundation will hold their annual Connor Johnson Ironman on Saturday, August 11th at the UPMC Lemieux Sports Complex in Cranberry Township, PA from 8:00 am to 5:00 pm. The Ron Lewis Automotive Group is proud to support this event and organization to help stop distracted driving and save the lives of our teen drivers. The money raised by donors to the Ironman Tournament will be used to provide the following workshops and materials for teens and parents at the event and in our local schools: PA DUI Mobil Unit, Texting Simulators, Crash Car – Commitment Signature, Impact Teen Drivers Workshop, Student Distracted Driving Projects and SADD – Support of Group Programs for the 2018-2019 School Year. Visit www.connorjohnsonfoundation.org/ for more information. Overview: Ron Lewis Alfa Romeo will be here displaying our Giulia and Stelvio models — Special guests at this event – The Ferrari Club of Western PA –https://victorycarcruise.com/ – This year Victory Church combines efforts with the Northway Church Car Cruise this year– with over 1,100 spots available! It’s not just for gear-heads — Once your family experiences the bounce house, balloon artist, face painting, food vendors, DJ, and prizes, they’ll beg you to come back. This year Ron Lewis Automotive returns as the Cruise’s “Driven By” sponsor – and we look forward to seeing you there Fridays throughout the Summer! Overview: Celebrate this 4th of July week at Ron Lewis Automotive –in Cranberry, Pleasant Hills, Waynesburg and Beaver Falls — With 20% off MSRP on all remaining 2017 models, first payment bonus cash on all new 2018 models, and enter for a chance to win a Nemacolin getaway and Jeep Off Road driving experience! Join us for the Independence Week Sale at the Ron Lewis Automotive Group! Note: All locations will be open for sales on July 4th from 9am-3pm. Overview: https://victorycarcruise.com/ – This year Victory Church combines efforts with the Northway Church Car Cruise this year– with over 1,100 spots available! It’s not just for gear-heads — Once your family experiences the bounce house, balloon artist, face painting, food vendors, DJ, and prizes, they’ll beg you to come back. This year Ron Lewis Automotive returns as the Cruise’s “Driven By” sponsor – and we look forward to seeing you there Fridays throughout the Summer! Event: Victory Church Car Cruise – Model T Ford, Lincoln & Mercury Night – Model T Convention Special Guest! Overview: Ron Lewis Alfa Romeo is a proud to provide a 2018 Alfa Romeo Stelvio for the “hole in one” challenge at this Golf Classic benefitting the Miracle League of Southwestern PA. The Miracle League of Southwestern Pennsylvania (MLSWPA) was formed in January 2007 and is dedicated to providing the opportunity for children and adults with physical and mental disabilities to play organized baseball. Visit mlswpa.org for more information. Overview: Ron Lewis CDJR Waynesburg is proud to be a sponsor of the Marianna Outdoorsmen Association Golf Outing –with a 2018 Jeep Wrangler JL on display. Visit https://www.facebook.com/events/2010423522551790/ to register and for more information. Event: Bantam Jeep Festival 2018! Overview: Looking for the PERFECT girl’s night out and want a shot at winning a designer handbag?! Join 100.7 Star and Ron Lewis Alfa Romeo at Walnut Grill in Wexford on June 21 from 6pm to 8pm for drink, food, Alfa Romeo test drives (passenger only!) and a chance to win an Italian designer handbag, courtesy of Ron Lewis Alfa Romeo. All proceeds from the event benefit the Glimmer of Hope Foundation, benefiting the fight against breast cancer. Overview: Thank you for your vote!! 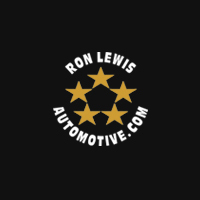 Ron Lewis Auto has been voted a Top 3 Finalist in the following categories in the 2018 Best of the Valley Community Choice Awards: Auto Dealership (New Cars) , Auto Dealership (Used Cars), Auto Dealer Service Department, Chrysler, Dodge, Jeep, Ram Dealership, Ford Dealership, and Foreign Car Dealership. The First Place winner in each category will be announced at the Best of the Valley Awards Gala on Thursday, June 21st at The Club at Shadow Lakes. Stay tuned for the final results! Overview: https://victorycarcruise.com/ – This year Victory Church combines efforts with the Northway Church Car Cruise – with over 1,100 spots available! It’s not just for gear-heads — Once your family experiences the bounce house, balloon artist, face painting, food vendors, DJ, and prizes, they’ll beg you to come back. This year Ron Lewis Automotive returns as the Cruise’s “Driven By” sponsor – and we look forward to seeing you there Fridays throughout the Summer! Event: Celebrating PPG’s Color of the Year – Dark Green! Overview: PPG provides the color coatings for 8/10 vehicles on the road. Brands include Ford, Subaru, Toyota, Volkswagen, Nissan, Mercedes, Hyundai, Chrysler, BMW and more – Ron Lewis Automotive will be providing a dark green vehicle or two as part of this “pop up car show” for PPG employees. Event: Souped Up Garage Sale! Overview: Join us on Friday June 29 AND Saturday June 30 from 11am-3pm for our first Souped Up Garage Sale – We’ve got over 150 tires, 80 rims, shocks, springs, car hoods, truck bed covers, tool boxes and more for sale – Email soupedup@ronlewisautomotive.com with any questions, or call 724-627-7111. Overview: This 72-hour Sales Event starts off the month with prizes and lease specials under $200/month on models such as the 2018 Jeep Compass, Ram 1500 with 0% APR financing available. We’ve also marked down our remaining 2017s in stock with discounts up to 20% off MRSP on select models. For some added fun, Star 100.7 will be on site with prizes on Saturday, May 5 from 11-1pm. Overview: Bring Mom’s Car in on Friday or Saturday for a complimentary car wash in honor of Mother’s Day –In addition, we’re offering a 10% Discount on Oil Changes for all Moms Friday, May 11 and Saturday May 12 during regular business hours. Event: Victory Car Cruise – Jeep Night and Bantam Preview! Overview: Join us for Memorial Day Sale fun with grilling, popcorn, putt-for-prizes and a test drive/service drive prize raffle – The Lease-a-Palooza team is cooking up sign-n-drive lease offers across all of our makes/models. Y108 will be on site at Ron Lewis Ford Kia in Beaver Falls on Saturday, May 26 from 3-5pm with additional prizes — See you there! Date: Saturday, April 7, 2018 – 11:00 a.m.
Overview: Let the Good Times Roll! Take the Ron Lewis Automotive Dice Roll Challenge! Go to https://www.ronlewisautomotive.com/roll-the-dice-contest/ to enter to roll the dice for a chance to win $25,000 towards a new or pre-owned vehicle from the Ron Lewis Automotive Group! We’ll be hosting Grand Prize Dice Roll events at each dealership location in April – Starting with Ron Lewis CDJR Pleasant Hills on April 7! We’ll be hosting Grand Prize Dice Roll events at each dealership location in April – We’re taking the challenge on the road and will be at Ron Lewis Waynesburg on April 14! Overview: Pittsburgh ICONS past and present are invited to shop gorgeous selections from urbanfitco., Lex & Lynne, & Diana Kauffman Designs, and enjoy cosmetic servies from Dr. Laura Pallan as you dine on appetizers provided by Lula and sip on White Claw from Frank Fuhrer. Ron Lewis Alfa Romeo will also be on site to provide passenger rides in the Alfa Romeo Giulia and Stelvio! Event: The 17th Annual Extreme Bull Riding Event, 6:30-11:00 p.m.
Overview: Ron Lewis Chrysler Dodge Jeep Ram Waynesburg is again a proud sponsor of the 17th Annual Extreme Bull Riding event taking place April 20 and 21 at the Greene County Fairgrounds. Doors Open at 6:30pm and the Show starts at 8pm. Call 724-852-5323 for more information. Get a look inside the 2019 Ram 1500 DT we will have on display. It is new from the ground up with 98% high strength steel and Pentastar V6/HEMI with eTorque Technology. Join us at this family friendly event! Event: It’s Take Your Son/Daughter to Work Day! Overview: Ron Lewis Automotive Group is a family owned and operated business – and we’re inviting our employees to bring their children to work from 11:30am-1:00pm for an introduction to the dealership, scavenger hunt and employee/child luncheon. Ages 5 and up; Parents responsible for arranging arrival/departure for their children to participate in the event; No children left unattended or permitted to enter the service bay/body shop area for their safety. This is the last stop for the Grand Prize Dice Roll events in April – Join us at Ron Lewis Alfa Romeo/Pre-Owned Cranberry on April 28! Overview: Come celebrate Spring with great lease and purchase deals on brand new Chrysler Dodge Jeep Ram Fiat models! Event: Spring Sales Event – 40th Anniversary Celebration! Overview: We’re stocked up for Spring and our prices are the lowest they’ve ever been in celebration of our Spring Sales Event and 40th Anniversary! 100.7 Star will be on site with us from 12-2pm on Saturday with prizes/giveaways! Event: Ron Lewis Chrysler Dodge Jeep Ram Waynesburg 10-Year Anniversary! Overview: Has it been a decade already? We’re celebrating 10 years of having Ron Lewis Chrysler Dodge Jeep Ram Waynesburg as a member of the Ron Lewis Automotive Group. To celebrate this milestone, Ron Lewis Chrysler Dodge Jeep Ram in Waynesburg will enter customers who purchase a new or used vehicle this February a chance to win $250 in Service or “Souped Up” Parts/Accessories at the Waynesburg dealership location. Overview: Doors open at 5pm, and wreath/tree auction begins at 6pm. Who will take home the Ron Lewis Automotive Car Themed Tree this year? Proceeds benefit Beaver County Children & Youth Services Advisory Board and the U.S. SARR Corps. Overview: Ron Lewis Alfa Romeo is hosting a Holiday Luncheon benefiting Christopher’s Kitchen on Thursday, December 14th from 12:00pm to 2:00pm at Sienna On The Square. For every test drive completed, Ron Lewis Alfa Romeo will donate $20 to Christopher’s Kitchen to aid in helping caregivers and families in need. Attendees are invited to indulge in Italian cuisine, listen to live music by Christina Chirumbolo, learn more about the inspiring impact of Christopher’s Kitchen, while experiencing test drives in the latest vehicle models from Ron Lewis Alfa Romeo. The event will feature a truffle bar with artistic creations from A519 Chocolate, as well as men’s and women’s holiday fashions by Heinz Healy’s and Peter Lawrence. By RSVP only, Space is Limited; contact alexmc@acrobatiquecreative.com for more information. Event: Best Car Dealer Celebration! Overview: We’ll be celebrating our win as Pittsburgh City Paper’s “Best Car Dealer” of 2017 at each of our locations! Overview: Join Heidi Tharp for this pre-holiday session covering winter vehicle preparations, on the road fixes, and tips for pre-holiday travel. She’s always got a few prizes and giveaways! Overview: Launching on Veteran’s Day through December 1, we are collecting unwrapped gifts for distribution by St. Barnabas Charities and the Veterans Administration. The goal is to ensure that as many Veterans as possible in assisted-living and skilled-nursing facilities throughout our region receive gifts at the Holidays. More information about the program is available at presentsforpatients.com. Overview: Inspired by US Navy SEALs (Frogmen), the Navy SEAL Foundation’s Joggin’ for Frogmen Race Series brings communities and families together to jog in honor of the Naval Special Warfare community and their families. Ron Lewis Automotive Group is a proud sponsor of this 5K race again this year. Overview: At all Ron Lewis Automotive Group locations, our staff may donate at least $1/per person to wear pink to raise money for Breast Cancer Research. Last year we collectively raised over $1600 – we’re aiming to beat that this year! Overview: Join Heidi Tharp for this educational workshop . This month will focus on winter weather prep, answering your repair questions, and giving you best practices for interior clean up. Overview: Ron Lewis Automotive Group is the Automotive Sponsor of this year’s City Paper “Best Of” party – Dave O’Brien will be on site with the Giulia Art Car doing a live canvas painting at this year’s event! Looking forward to celebrating this year’s winners, who will be announced in the 10/18 issue. Overview: Ron Lewis CDJRF Cranberry is a sponsor of this year’s Trunk or Treat featuring healthy, prepackaged treats and prizes! Event activities include: DJ and dancing, hay maze, crafts, pumpkin decorating, snacks, & pony rides. Get in the spirit with a Car Decorating Contest and a Family Costume Contest – See you there! Event: Fall Fest 2017 – The “Sweetest Day” for Deals! Overview: We’ll be celebrating Fall at Ron Lewis Ford and Kia in Beaver Falls with Fall Fest 2017! Bring the family and pick a pumpkin (1 per family while supplies last), enjoy candy treat bags, cider and baked goods and other prizes with Y108 on site from 11-1 – This is the “Sweetest Day” to make a deal on your next Ford or Kia! Overview: This Labor Day event of the Flashlight Drags as part of AutoMania at Pittsburgh International Race Complex. Gates open at 10am. There will be a Drift Demo, Parade Laps, BBQ Burn-Off, Car Cruise and Karting Enduro. FLD racing from 3pm to 7pm . Ron Lewis Ford Kia will be on site with vehicles on display. Overview: Please contact Paul Morando if you are interested in registering for this event – pmorando@ronlewisautomotive.com. The evening will feature personalized test drives of the 2018 Alfa Romeo Stelvio as well as Painting with a Twist on site to work with our guests on creating an Alfa Romeo themed piece of art! Italian refreshments and antipasti will also be served. Overview: Alfa Romeo Owners are invited to join the Three Rivers Alfisti for Alfas on the Polo Field! The Three Rivers Alfa Romeo Owners Club and the Ferrari Club of Western Pennsylvania, are featured at this year’s 34th annual event at an Italian Car show during the Polo match! Overview: JDRF One Walk has one goal: to create a world without type 1 diabetes (T1D). Ron Lewis Ford is proud to be a supporter this year! Overview: Join Heidi Tharp for the third Women and Wheels workshop, held monthly at our Waynesburg location. This month’s workshop will focus on maintenance and solving common how to challenges. Location: Location Change – Cranberry Park! Overview: It’s Italian Night and Ron Lewis Alfa Romeo and Ron Lewis Fiat will be bringing out the 500s, the Giulias and more—The 2017 Art Car will also be on display! Overview: The Ron Lewis Automotive Group is sponsoring the Text Simulator Station at this fundraiser, where parents and teens can learn first-hand about the effects and dangers of distracted driving. The event will feature a 3v3 high school hockey tournament, as well as various stations, workshops, and an opportunity to take a driver safety pledge. Overview: Red Hot Clear the Lot Sale! Help us make our August numbers by sending your friends and family our way for a great deal on new Ford and Kia models and a great selection of pre-owned vehicles. Overview: Join Heidi Tharp for the second Women and Wheels workshop, held monthly at our Waynesburg location. This month’s workshop will focus on accessorizing your vehicle – various types of lifts, wheels, tires, lights, bling and more. Heidi will explain options for maintaining your warranty as well as ways to truly customize your vehicle. Overview: Ron Lewis Automotive is a Gold Sponsor of this event, which focuses on granting the wish of a local Beaver County wish child and also funds research for congenital heart defects. The event will feature a volleyball tournament, children’s games, Chinese auction, food, vendor booths, and much more. Chris Peterson from our Ron Lewis Ford location will be on location staffing this important event. Overview: Ron Lewis Automotive is an Eagle Sponsor of this event, and proceeds benefit the CWNCHS Tuition Assistance Program. Overview: Red Hot Clear the Lot Sale! Help us make our August numbers by sending your friends and family our way for a great deal on new and certified pre-owned Chrysler Dodge Jeep and Ram vehicles, with a great selection of pre-owned models as well. Overview: Ron Lewis Automotive is one of the sponsors for this fun event again this year – Bring the family out for a car show, car cruise, music, food, and drag racing fun!